Wesman Todd Shaw started playing the guitar when he was 12 years old. He loves nothing more than to pick one up and pluck some strings. The Fender Stratocaster was a hit the day it was born, just as was its slightly older cousin, the Telecaster. The Strat was born being slightly more ergonomic for some, and it had a tremolo bar on it, unless you just wanted one without that. Everyone loved the thing, everyone still loves the thing, and probably it will be loved as long as humanity survives. The sound of the Strat was a little different than the Tele, but both of the two Fender flagship solid body electric guitars were known for their crisp, bright, glassy twang. Other persons describe the Strat sound as quacky, bell toned, or that it sounds like a chime. Then there are the persons who insist the sound is spanky. Well, you get the idea? However which way and whatever words you use to describe the sound of the three single coil pickup traditional Stratocaster is going to be just alright with me. One thing folks seem to agree often on is the distinct definition of notes the Strat provides. It's not so much how our Stratocasters sound that needs to be identified or described, but rather the potential to extract an infinite variety of sounds from each guitar. And these sounds will vary from player to player. Eric Clapton says the Strat is the most perfect guitar which has ever been made. Jeff Beck says his is like an extension of his body. These are guitars people have literal love affairs with. So the Strat just seems to fit and feel perfectly in the hands of many guitar players. The other thing is the curvy Strat is absolutely gorgeous. The Strat has the striking visual appeal of a centerfold model, and its curves too are luscious. A guitar's tonal character is another thing altogether. Twang and chime simply aren't going to cut the mustard for everyone. Some folks want a guitar with bark, growl, and crunch. They also want that in a guitar which looks and feels as wonderful as a Fender Stratocaster. When I was a much younger fella I bought a well worn in Strat for a good price, and took it to a shop to have a humbucker installed in the bridge position. I did that because I couldn't do it myself, and I wanted a bridge humbucker so as to sound like Eddie Van Halen, and literally, almost every other rock and metal guitarist of the mid to late 1980s. In this day and age there is never really a good reason to have someone chop some wood out of your Strat to install a humbucker. Fender makes plenty of Strats from the factory which have them already; and of course nowadays one can purchase great humbucking pickups which are the same size as single coil pups. The purpose of this article is to have a look at the current production Fender Stratocaster guitars with at least one humbucking pickup. You read the news these days and you are bombarded with tales of globalism. Well, global trade is something more likely to unify the world than divide it, especially when the trade involves instruments with which one makes music. At least these are the things I tell myself. What's that got to do with a Fender Stratocaster? Fender Standard guitars are built in Mexico. They are built down there to be sold here and elsewhere at a lower cost. So for a consumer, Mexican made Fender is an absolutely wonderful thing. No one is saying Fender Standard guitars are as nice and fine as the ones made in the USA. What they are is an opportunity to spend far less money and get a better guitar than you'd be able to get were there not a Fender Standard line built in Mexico. 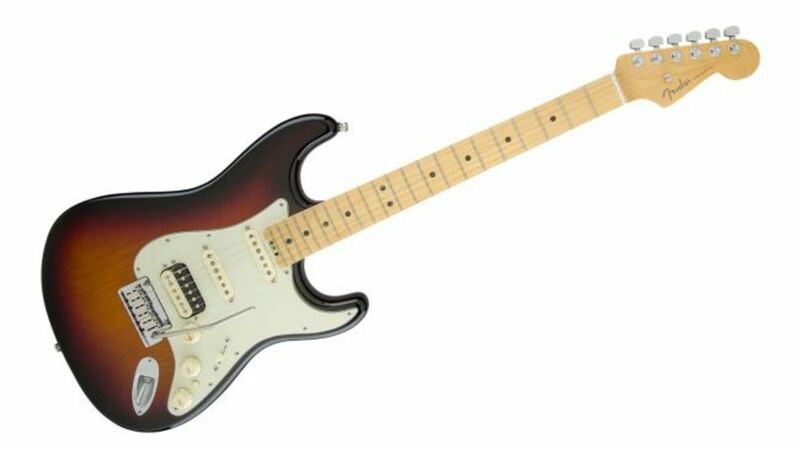 The Fender Standard Stratocaster HSS Plus Top sells for just five hundred and ninety nine dollars. You can get one with a maple fretboard, or a rosewood fretboard. The plus top is of flame maple. So these guitars can be thought to be more attractive than some of the ones which cost a lot more money. The top is not thick, so the maple is not going to be making much of a detectable difference in the tonality. This beautiful guitar at an extremely lovely price is available in exactly two finishes. If you get the cherry-burst finish as in the photo above, you get a maple fingerboard. If you get the tobacco-burst finish guitar, then that guitar comes with a rosewood fingerboard. The fingerboard material absolutely does make a difference. You can feel the difference with your fingertips, and some persons can literally hear a difference in the tone. Neither is better or worse, it's purely a matter of taste. For those who need a low cost Strat, but need to have one which is beautified by a flame maple top, has a humbucker in the bridge position, and is also equipped with a Floyd Rose whammy bar; well, Fender has you covered. The Floyd Rose is going to cost you, of course, but it doesn't add as much to the cost when you get it from the factory instead of having it installed in a shop. The Fender Standard Stratocaster Plus Top with Floyd Rose tremolo costs just $749.99 bucks. If you want a Fender Standard HSS, but you don't wish to have one in either of the burst finishes as shown in the section and photos above, then do not fret, you most certainly can have what you want. This is the exact same guitar in every way minus just one thing, the flame maple veneer. So these guitars can be had in a variety of colors. And you can get a rosewood fingerboard on a white Strat, and in fact, you can have either the rosewood or maple fingerboard on a Standard HSS Strat of any color you choose. The Fender Standard Stratocaster HSS costs the exact same as the one with the maple veneer or 'plus top.' It is a $599.99 dollar guitar. Now below I'm going to list some specifications. You are to know first, however, these specifications also go for the plus top models, the guitars are the same with the exception of the maple veneer top. You also need to know that, again, you can have either a maple or rosewood fingerboard. The neck of the guitar will be maple regardless. If you choose the plus top with the Floyd Rose, the tremolo specs below do not apply. Certain types of guitar players have a very serious preference for having a humbucking pickup in the neck position. The neck position pickup can be thought of as providing warmer tones, while the bridge position pickup provides brighter tones. These rules of thumb apply no matter which style of pickup is installed in those positions on a guitar. Well, solid body guitars themselves brighten up a tone, so if you want warmth enough, tonally, for traditional blues and jazz sounds, you might just be the person who will be most suited to a guitar with a humbucker in the neck position, for humbuckers provide a thicker and warmer tone, especially at the neck position. The Fender Standard Stratocaster HSH is also priced at exactly $599.99. True story, and I am uncertain as to just why, but these guitars are only available with rosewood fingerboards. But this rule only applies to Fender Standard, and not Fender American Strats with HSH pickup configuration. I'm sure there's a logical business reason for this. There is another major difference between this guitar and the Fender Standard Strats above, for this guitar features Coil splitting. As is almost always the case, the coil split is done via a push-pull control knob. So this guitar provides a wider range of tonal possibilities while still at the same great price. Maybe you don't want or need a single coil pickup at all, not even one in the middle? Well, it cost exactly the same, so I'm unsure what any advantage to it could be, but the Fender Standard Stratocaster HH is absolutely available for you. Again, it cost the exact same as the HSH. It is possible a body could find the middle pickup gets in the way of their pick attack, in such an instance and style of play, the Fender Standard Stratocaster HH would be the way to go. Eddie Van Halen and Steve Vai started the super Strat craze. What is a super Strat? It is merely a Stratocaster with a humbucker or two, and a true whammy bar, like a Floyd Rose, instead of just a vibrato. One need not be the sort of player who emulates Van Halen or Vai to find much use with the whammy bars of the Floyd Rose persuasion. There is some utility provided with the Floyd Rose. It is an exceptional and even revolutionary piece of engineering and hardware. The thing is, if you don't need it, then there is no reason to pay for one. The Fender Standard Stratocaster HSS Floyd Rose is a super Strat from the factory, and for the minor increase in price you certainly have the advantage over the person who's paying to have one installed on their Strat aftermarket. All the specifications for this guitar will be identical to those on the Fender Standard Strat HSS, but with the only exception being the addition of the Floyd Rose device. It costs exactly one hundred dollars more. When you think about what those things had cost back when Eddie, Steve, and so many others were first discovering them, you'll shout for joy at what Fender is offering here. Take a look at the Fender Deluxe Stratocaster HSS and you may not notice any visual difference to the Fender Standards Strat HSS. But look again, and you should see the Deluxe has a larger headstock. What's the deal? Some people believe the larger headstock gives the wood more resonance and longer lasting sustain of notes played. This guitar also has slightly more expensive pickups, and I mean all three pickups. Here is what is important, if you play the Standard and then the Deluxe, and you can't hear any difference, then there is no good reason to spend the extra money, especially if you're an amateur player. If you are a professional or semi-professional player, then you should maybe consider members of your audience may have more adroit auditory skill, and such things could potentially be important. Then, there is also the electronics which are just slightly different. With the pickup selector switch on this guitar you can split the coil of the humbucker at the bridge. So you can have a single coil or a humbucker at the bridge with the Deluxe. This guitar is two hundred dollars more than the Standard HSS. To decide on this guitar over the Standard HSS depends almost entirely on how important coil splitting the bridge humbucker is to you. Is the Sergio Vallin guitar a Stratocaster? Well, yes and no. You can see the body is clearly offset from the Strat body. The tremolo is not a Strat Tremolo, it looks like something off of a Fender Jaguar. I'm listing the Fender Sergio Vallin guitar in with the Strats with humbuckers because Fender lists it the same way, and it is clear that persons interested in Strats with humbucking pickups may well find the Sergio Vallin guitar also of interest. 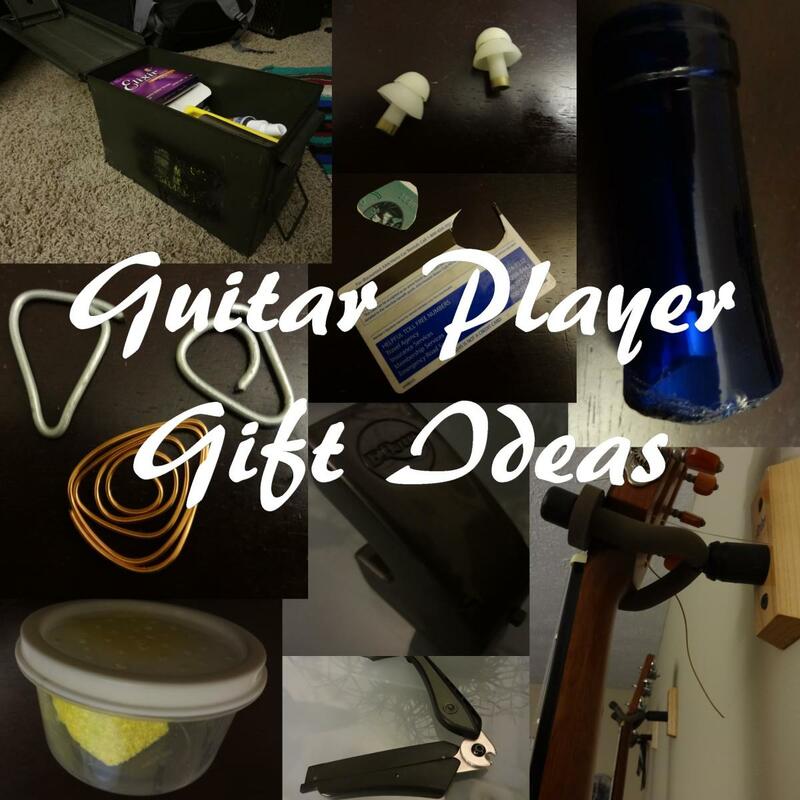 Musicians like to be unique snowflakes, and having a guitar different from the rest can distinguish you. So here we are, and who is Sergio Vallin anyway? He's the guitarist in one of the world's hottest Latin rock bands, Mana. The guitar playing of Sergio Vallin is very atmospheric, and to me seems to be a throwback to earlier styles of play. It's very refreshing to listen to. The Sergio Vallin signature guitar is in production right now. But with signature guitars you can't be certain they will stay in production. Heck, to be perfectly honest, Fender drops models and adds new ones very frequently. This guitar goes for $799.99, and it could become a very collectible instrument. Besides the body being unique, this guitar packs very different controls. You get exactly one volume control, and the other knob which one would think would be a tone control, is actually a rotary pickup selector switch. Fender American Special Stratocaster HSS. Shown with 3-Color Sunburst finish. The Fender American Special Stratocaster HSS is a terrific value for $999.99 dollars. To be perfectly honest about all of this, these guitars will retain more resale value than Mexican made guitars. Any Fender guitar made in the USA is going to get the superstar treatment from Fender. They use the best cuts of wood, and the best pickups on USA production. You get more beauty appointments here with the with gloss urethane finish. Then there is the additional fret. The American Special has 22 frets to the 21 on all the previously displayed and discussed models. How important is an extra fret to you? That's for you to decide. As for myself, what would sell me on this guitar over the ones previously discussed would be the pickups most of all. 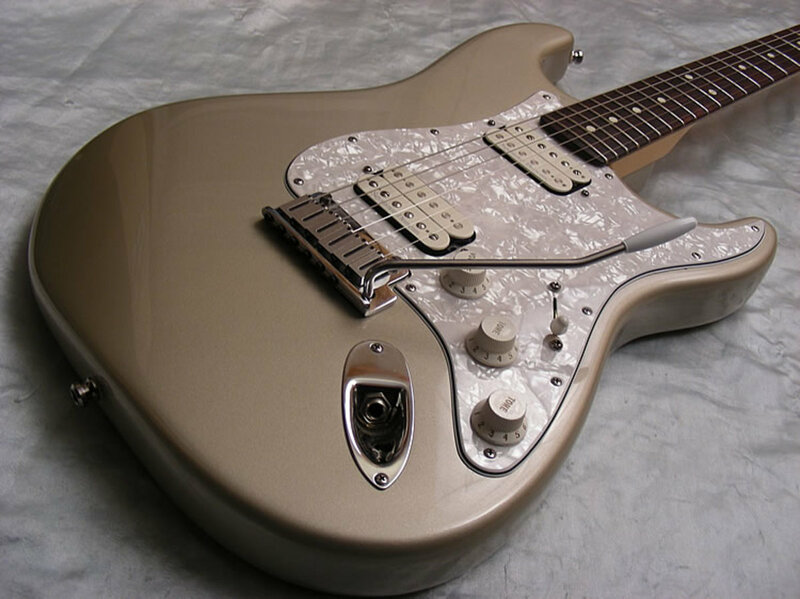 This guitar sports Fender's Atomic Special bridge humbucker, and the two single coils are the Texas Special Strat pickups, the same as offered in the Stevie Ray Vaughan Strat, and other above and beyond the pale Fender guitars. You should also notice this guitar has the larger headstock. Additional specifications listed below. There used to be a Dave Murray Strat which had the full sized humbuckers in the bridge and neck position. What I mean by full sized is the ones which are double the width of a single coil pickup. Those guitars are available on the used market. For whatever reason, the new Dave Murray Strat has the humbuckers which are the same width as single coil pickups. I suppose if one doesn't find these smaller humbuckers to be tonally distinct from the larger ones, then the preference for the smaller would have to be for aesthetics, and for those times when you decide to tweak the thing by installing traditional single coils. Some people like to mod their guitars, and often. Other folks want to buy one which is just the way it ought to stay right off the store's shelves. I suppose the world is big enough for all of us, and all of our bones of contention. At least the bones of contention regarding how we want our Fender Strats to look, feel, and sound. The Fender Dave Murray Stratocaster also comes equipped with a Floyd Rose. And the guitar is currently selling at a hair under one thousand dollars. The pick-guard on this is also noteworthy, whether you think it is gaudy or fabulous is for you to decide. Speaking for myself here, I'm just not one of those guys who plays with a vibrato or trem or whammy bar. Those things are cool if you use them, if you don't they are really just in the way. And because some wood is cut out to accommodate those gadgets, you lose some tiny tiny bit of sound you'd otherwise have. Well, don't shoot me. I like hard-tail Fender guitars. And I like Jim Root. the Jim Root Stratocaster is a hell of a lot like the Jim Root Telecaster. You can get the dark one or the light one. They both look absolutely fabulous, are packing super hot EMG pickups, and will provide all the crunch, bark, and growl anyone could desire. These have bodies of mahogany, and that absolutely adds some crunch and some cost. I am personally ambivalent about the large head-stock. I am sold on the Jim Root Strat though, I think either one could satisfy my every guitarist desire. You should know, however, these guitars are a lot more expensive than any of the others on the page. They go for about fifteen hundred bucks. They are unlike the others too in that these come with deluxe tweed hard-shell cases. Every one of these guitars deserves a nice hard shell case, but for all the others you'd have to buy that separately. Lastly, the big dog daddy out of the group. Tim Shaw is a long time electronics man in the industry of guitar manufacturing. He's worked for the big names guitar lovers all know so well, but right now he works for Fender. The Shawbucker pickups is Tim Shaw's baby. Everyone loves it. When Fender names something 'American Elite,' you ought to know you're getting the best they've got to offer. Only custom shop stuff will be more expensive. So the Fender American Elite Stratocaster HSS Shawbucker isn't cheap. It is under two thousand bucks though, and for a top of the line instrument from Fender, it's still a solid bargain. This guitar has bells and it has whistles. Boy howdy, lemme tell you what. This is very fancy stuff. The Shawbucker humbucker isn't the only elite pickup on the guitar, the single coils are cream of the crop as well. The switching system here is also several hundred dollars worth of upgrade. This guitar is like a Lexus or a Mercedes Benz. Then, the tremolo is engineered above and beyond the pale, as too are the bridge and saddle assembly. The finer things in life aren't cheap or inexpensive. 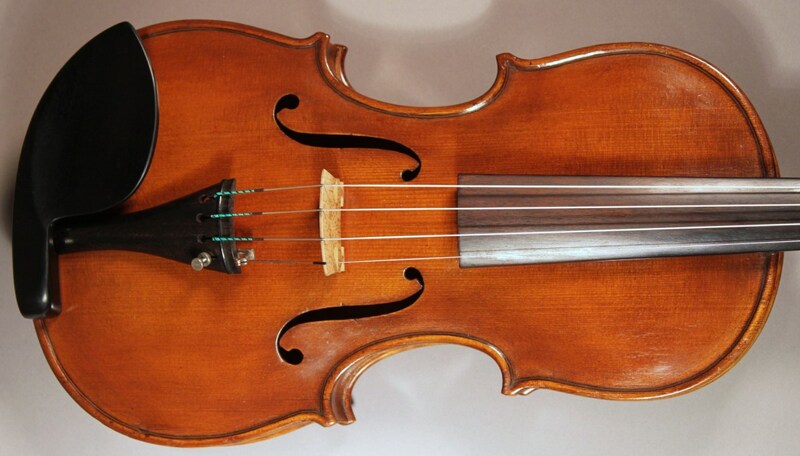 What is the most valuable violin in the world today? I know nothing about guitars, but I know good writing and good research when I see it, so my comment is great, informative article. Great hub...I've never owned a Strat, but I think it is probably the most iconic guitar ever built. It will always be at the forefront of the guitar sound. I have a PRS that I can toggle to a P90 sound and get very close to the Shadows and Knopler sound. My brother has three of them and really loves them.